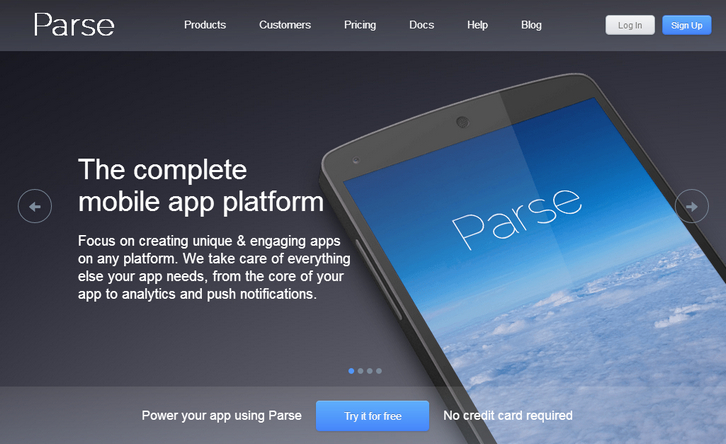 Parse is a complete mobile app platform that focuses on creating unique & engaging apps on any platform. We take care of everything else your app needs, from the core of your app to analytics and push notifications. I have been a fan of this mobile platform due to its usability and easy to manipulate features. Makes transactional email with Mandrill a snap with cloud code!